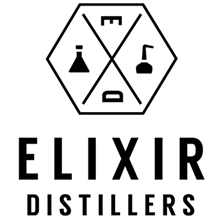 Although every distillery on Islay has its own character, London-based Elixir Distillers has selected parcels of what it believes to be the most balanced single malt whisky on the island to bottle as Port Askaig. Named after the first port of call for visitors to the island as they come across on the mainland ferry, the range is currently available in six different individually batched expressions – an eight- 15-, 19-year-old, Cask Strength, 30- and 45-year-old, plus the no-age statement 100 Proof. The brand offers a variety of flavours and whisky styles from across the island, although Islay’s signature smoky, maritime character, as well as fruity and citrus notes, are inherent to the range. As with all independent bottlings produced by Elixir Distillers, Port Askaig is non-chill-filtered and is free of added colour. With demand for Islay whisky well on the up, Sukhinder Singh, founder of Speciality Drinks (renamed Elixir Distillers in 2017), opted to bottle what he believed to be the finest malt whiskies from the island under a new brand. 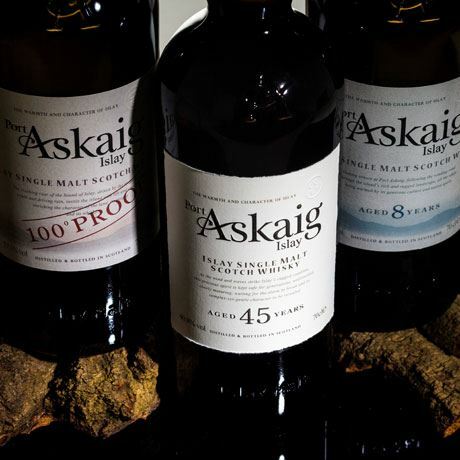 In 2009 Port Askaig was launched, in what was deemed somewhat traditional packaging for the time, in three expressions: Cask Strength, 17- and 25-year old. 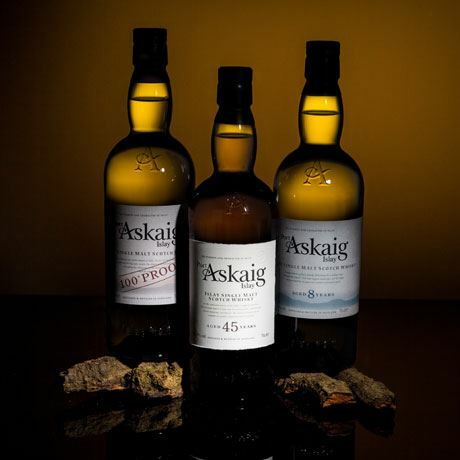 The range has since progressed, moving through several limited edition expressions that saw the 30 Year Old discontinued and then reintroduced in 2015. In the same year an on-going 100 Proof expression was introduced, with a permanent eight-year-old added to the range in 2016.